In A Day’s Wait by Ernest Hemingway we have the theme of fear, courage, responsibility, isolation, confusion, acceptance and control. Taken from his The Complete Short Stories collection the story is narrated in the first person by an unnamed man (father) and after reading the story the reader realises that Hemingway may be exploring the theme of fear. Schatz fears that he is going to die however he is basing his predication on misinformation (Celsius versus Fahrenheit). However his father does not really have the ability to allay Schatz’s fears and to make matters worse Schatz isolates himself from the world around him. Spending the following days crying. Which may be important as by having Schatz cry Hemingway may be further highlighting Schatz’s fears when it comes to dying. The fact that the father is also lying down at the start of the story may be important as Hemingway could be using this as a symbolic representation for paralysis or not moving. Throughout the story the father’s words are not as comforting as one would expect a father’s words to be when it comes to a sick child. Though in the interest of clarity it might also be important to remember that Schatz’s has himself at death’s door. It may not be possible for anybody to alleviate Schatz’s fears. However despite believing that he is going to die Schatz shows a lot of courage and bravery and tries to accept the position he finds himself in. The one thing that the father can do for Schatz is to tell him that he only has a flu. However he never fully explains this to Schatz and it is possible that Schatz’s imagination is running wild. Which is causing confusion. Schatz really believes that he is going to die because his temperature is so high. He also appears to have prepared himself by asking his father does he want to leave the room. This shows tremendous courage as Schatz is thinking of somebody else and how his death may affect them. He doesn’t want to see his father upset. However this point is not understood by his father. If anything throughout the story neither father or son appear to be listening to one another. Something that is noticeable when the father uses miles and kilometres to describe the differences between Celsius and Fahrenheit. The point is lost on Schatz and the father does not try and simplify further the point he is attempting to make. Though he is trying to alleviate Schatz’s concerns it doesn’t seem to be working. It may also be a case that Hemingway is exploring the theme of control. Schatz does everything that is asked of him by his father when the reality may be that he might want to be left alone and face death as he thinks one should face death (alone). At no stage in the story does Schatz try and move from his bed and it is as though he is being controlled by the flu. His body may be unable to move. It is also possible that the father is trying to connect with Schatz however Schatz is trying to put a barrier between himself and his father. Something that is easier to understand should the reader remember that Schatz truly believes he is going to die. There is an element of not only heroism but stoicism when it comes to Schatz’s character. Again he firmly believes that he is going to die and is basing this understanding on incorrect information. 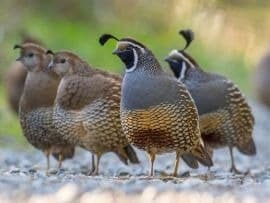 What is also interesting about the story is the fact that the father is able to leave the house and shoot quail. This may be important as it suggests that the father may be out of touch with how Schatz is feeling. However it might also be important to remember that the father is aware that Schatz only has a high temperature and the flu. His illness is yet to hit crisis point. Nonetheless some critics may suggest that the father throughout the story has not really been there for Schatz. Schatz after all is only nine years old and has no real understanding of what is really happening him. There is also so much more that the father could have done. Firstly he could have stayed with Schatz for the day rather than going shooting and secondly he could have realised that Schatz is only nine years old and may need a simpler explanation rather than the miles versus kilometres explanation that he gave Schatz. The mention of the line ‘we were still in bed’ may also be significant as it suggests the possibility that Schatz’s mother was in the bed when Schatz walked into the bedroom. At no stage of the story is there a motherly figure caring for Schatz. Yet the reader is left to assume there is a woman in the house. The onus or responsibility for Schatz’s care has fallen on his father who could have handled things a little bit better. McManus, Dermot. "A Day's Wait by Ernest Hemingway." The Sitting Bee. The Sitting Bee, 6 Oct. 2017. Web.